I just bought this ad on Ebay. 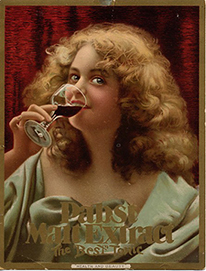 Over the period of his final three years at the brewery 1895-97 the Pabst advertising manager A. Cressy Morrison carried out a publicity campaign that focused on the three periods of brewing beer: the beginnings with the Egyptians, then the Germans who developed the art of brewing, and finally Americans who perfected brewing. Brewing began in Egypt. This is what Cressy wrote in the booklet called “Ominous Secrets”: “So far back in the beginning of history that the archeologists can only approximate the date by thousands of years, humanity had discovered—humanity, whose wisdom was already so developed as to create the pyramids and those stupendous architectures now buried amid the sands of ancient Egypt,–humanity has discovered that in the preservation of the health and the development of the strength of the people lay the secret of progress, the power to build, the possibility of national defense. Thus Cressy’s creative skills as an adman inspired him to link the beginnings of brewing to the Egyptians. 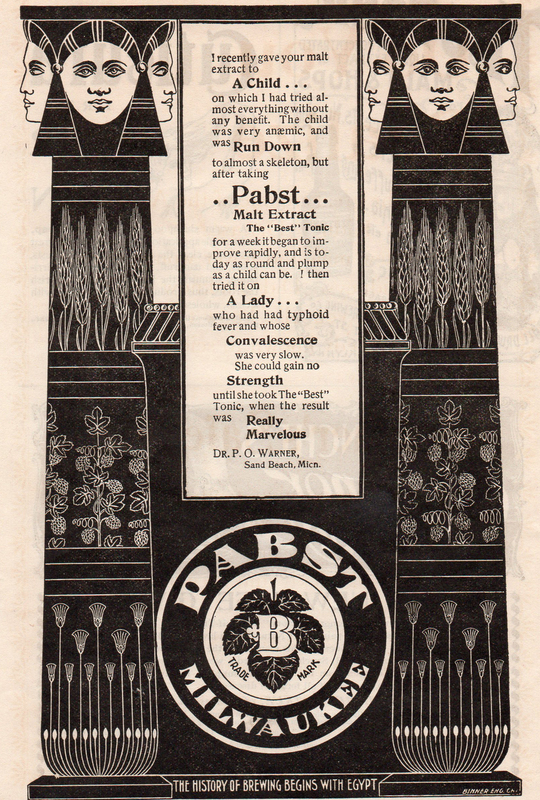 Notice the ad [above] promoted the Best Tonic which certainly had the qualities of the beer that the Egyptians gave the world. Tonic had not only its qualities but also its content. The Tonic was really beer.